The new M4 Coupé represents the epitome of a high-performance sports car whilst delivering limitless everyday practicality. It is a high-speed athlete with a 431bhp 3.0-litre engine that has been developed for the race track, for the challenging road and for the most demanding of drivers, but can also take on everyday driving demands with high levels of luxury, comfort and convenience. Visit your nearest BMW dealership for a test drive today. 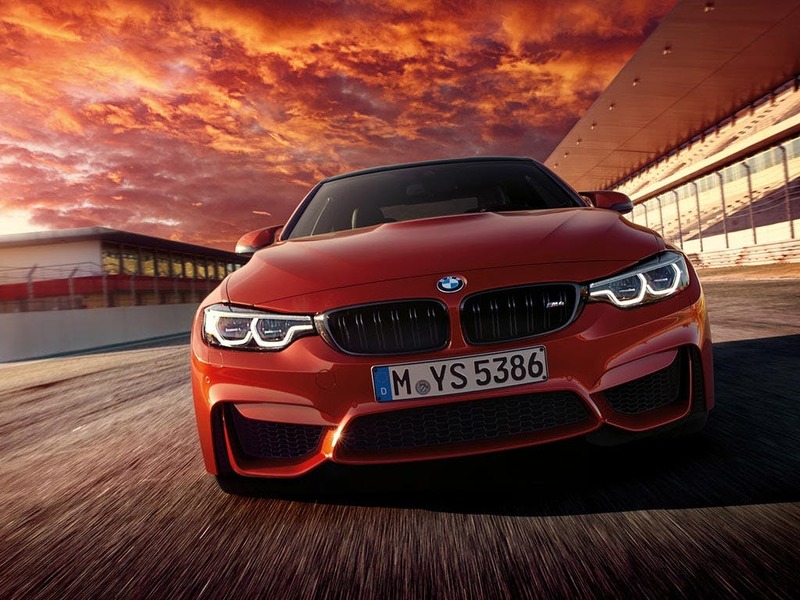 Discover all the latest BMW M4 Coupé offers currently available. 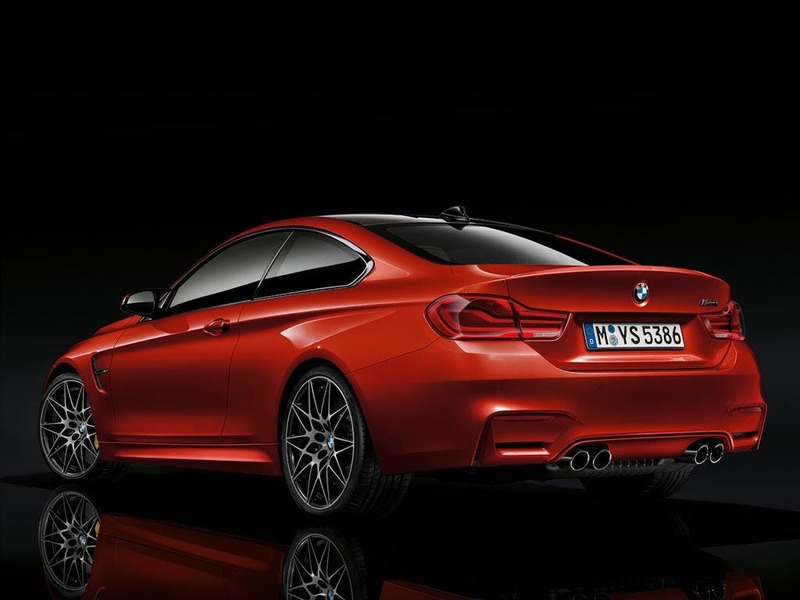 Every detail matters, view the BMW M4 Coupé technical specification. 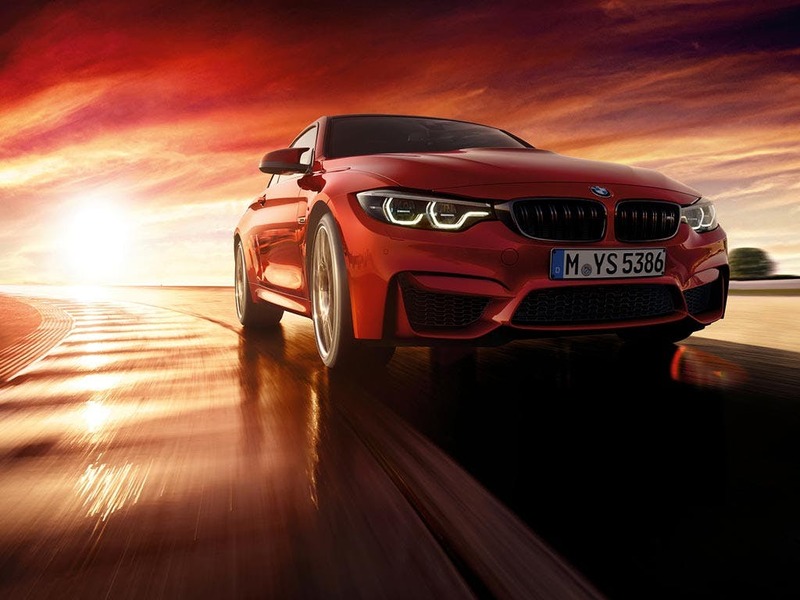 Download the latest M4 Coupé brochure. 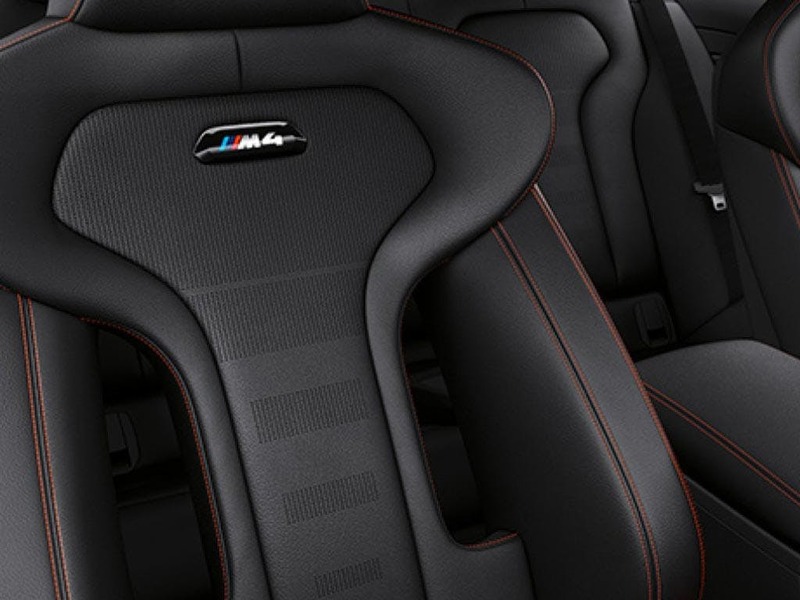 You become one with the M4 Coupé as soon as you sit inside its driver-focused cabin. 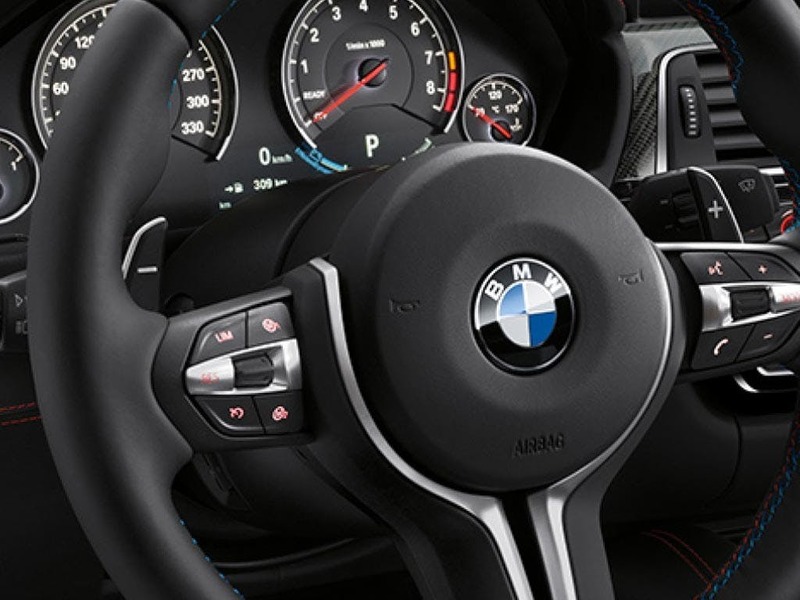 An ergonomic M steering wheel, M-specific instrument cluster and supportive M bucket-style seats give you everything you need for driving at the limit and immersing yourself in the drive. Luxury is never compromised, however, with exclusive finishes and striking accents complementing the progressive design of an interior that has clearly been crafted to be as sophisticated as it is sporty. Unconditionally sporty and dynamic styling announces the immense performance potential of the BMW M4 Coupé, even before you’ve climbed inside. Powerful proportions, flared wheel arches and sleek, coupé lines are complemented by details such as large front air inlets and an M diffuser with angled twin exhausts. 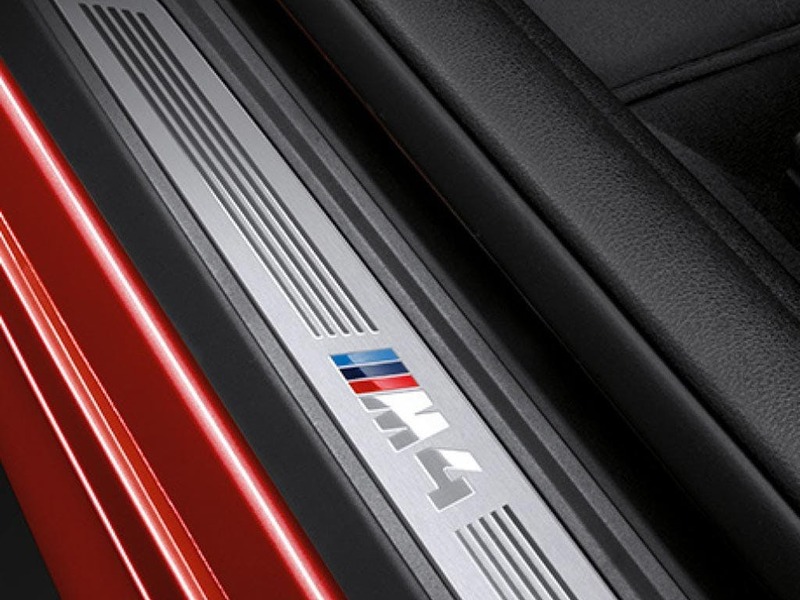 The effect is that the M4 radiates driving appeal and sporting intent, its abilities on the road are highlighted by the two inlets for the air curtain and the M gill elements on the sides of the M4. 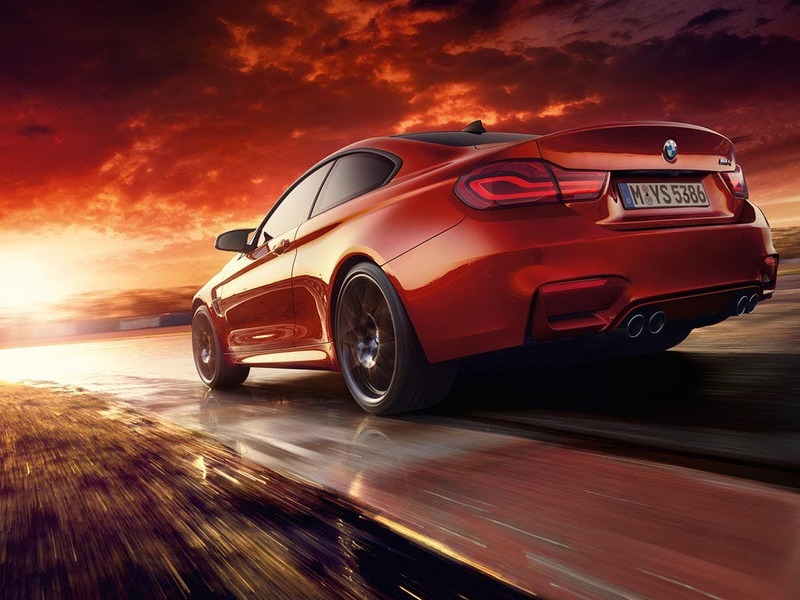 Packed with power that is guaranteed to impress, the M4 Coupé has a 3.0-litre M TwinPower Turbo inline 6-cylinder petrol engine which packs an incredible 431bhp. The result is a zero to 62mph time of just 4.0 seconds when the optional seven-speed M double-clutch transmission is specified. Yet with the implementation of innovative EfficientDynamics technologies, the M4’s fuel consumption on the combined cycle is up to 32.1mpg combined and CO2 emissions are 204g/km. Enhance every aspect of the driving experience. 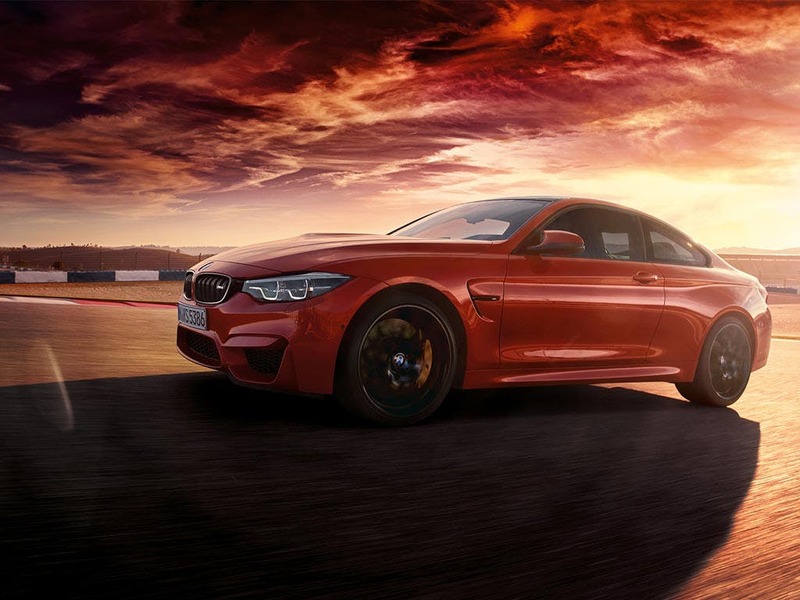 Adding to the already incredible aesthetic of the BMW M4 Coupé, the specification includes an impressive range of technologies that enhance every aspect of the driving experience. 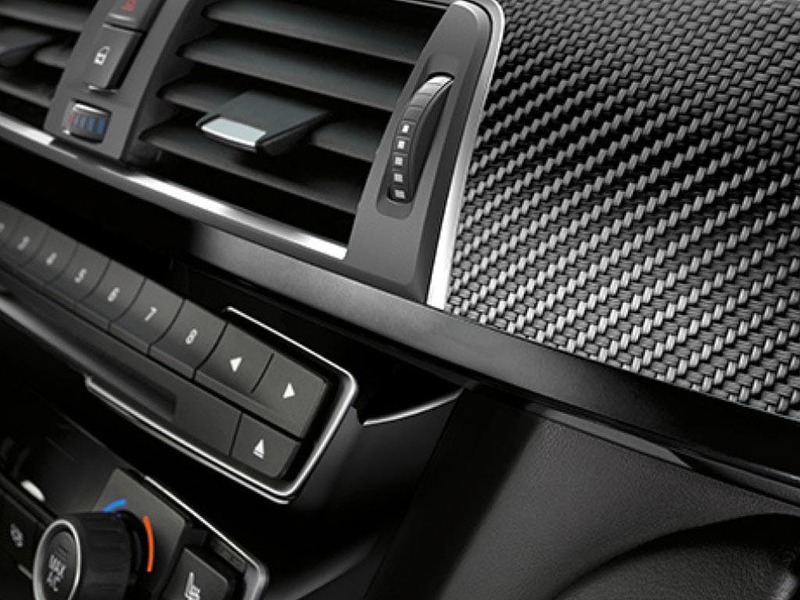 The Professional navigation system features a new user interface to make it even easier to use, while enhanced Bluetooth, inductive phone charging and the Wi-Fi hotspot ensure you’re always connected to the things that are most important to you, seamlessly and safely. 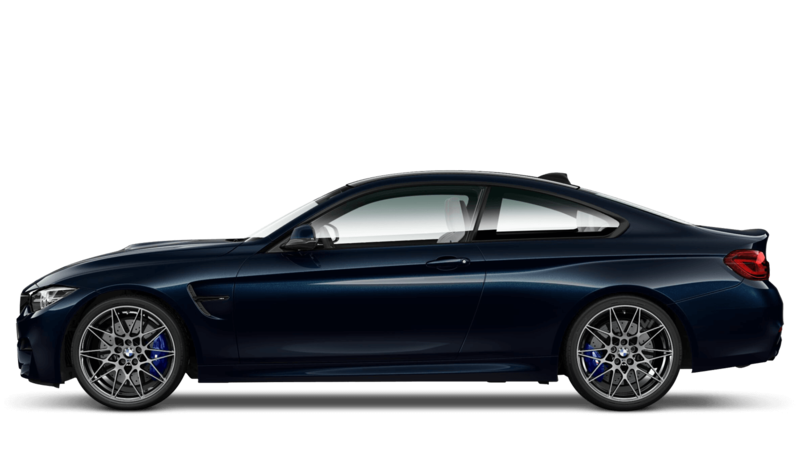 of Barons And Chandlers BMW customers that bought an BMW M4 Coupe would recommend to their friends and family. My experience at Chandlers BMW Hailsham was positive because I have had a great handover, they got the car ready for me super fast to collect the day after everything went through and they have kept in touch to make sure that everything is good with the car and any questions etc, they also did an incredible deal and got me into a car nice and quickly after what happened! A special shout out to Matt Quarrington for all his work and help and time spent on this! The staff at Barons BMW Stansted were good because they made everything so simple and very very helpful and answered all questions without hesitation, very professional. My experience at Barons BMW Watford was memorable thanks to the professionalism of Shumon. We started off with a casual conversation about what I was looking for, where I was at in the buying process and my options. At no point in the process did I feel as though he trying to sell me a car; it felt more like he was trying to support me along the journey, whatever the outcome. He was able to articulate the merits of each vehicle I was considering in such a manner that it was easy to choose a “winner”. Now, I’m the very proud owner of one of my dream cars and love it more & more each time I drive it. This is the level of service I’ve come to appreciate from Barons Watford, including their Service department. Chandlers BMW Brighton were fantastic because of the quick turnaround from agreeing to purchase the car to picking the car up the next day, 600 miles round trip to collect the car, hotel organised and paid for by Chandlers BMW,, distance not a problem for the best deal on the specific car I wanted. Chandlers BMW Worthing were great because they were very welcoming and have Delightful attitudes. The purchase was a breeze and everything was explained perfectly. Very very happy to be one of there customers and will be for the foreseeable future. 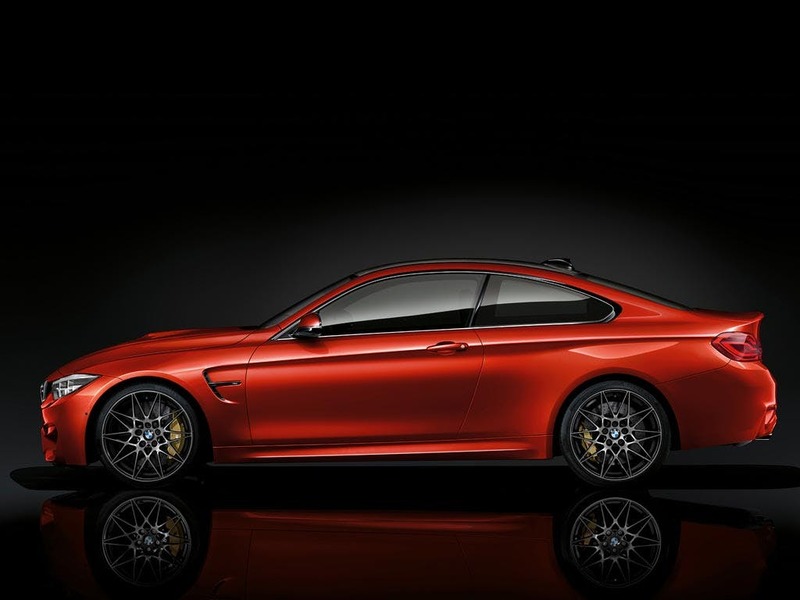 Explore the M4 Coupé specifications.